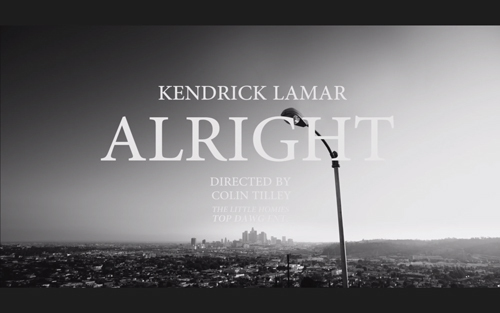 Kendrick Lamar's new video, "Alright", is almost as complex as To Pimp A Butterfly. 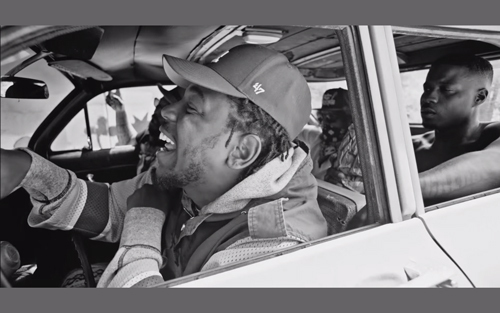 The video mixes cameo appearances from his fellow TDE label mates Black Hippy, with metaphors like Kendrick walking on air highlights the recent race troubles too. This is a brilliant video, with it's brilliance there for everyone to see in black and white. "Alright" is taken from Kendrick Lamar's To Pimp A Butterfly which is out now on iTunes, Google Play and Spotify.